This week I was having a hard time deciding what to write about. It is that point in the semester when I start to feel overwhelmed. I don’t feel like cooking (gasp! ), I don’t feel like writing (frown), and I just want to be lazy and lay on the couch. BUT, each morning I pull myself up and head to the gym, I try to get a blog post done, and I whip up a dinner that may not be revolutionary, but it is still homecooked (burgers w/ mash last night). So when it came time to do the writing for today, I froze. If my dinners aren’t worth writing about, what other content would interest my readers? Well, lets start with what is occupying my “free” time right now. The 1st Birthday Brunch for the Boston Brunchers! Let me first explain what Boston Brunchers is. When I first started working at BU, I was a little lost without the creative outlet I had while working in marketing. I was still addicted to social media, but without having a project, found myself grasping at ways to stay involved. Then I attended a bloggers’ dinner at Villa Francesca. 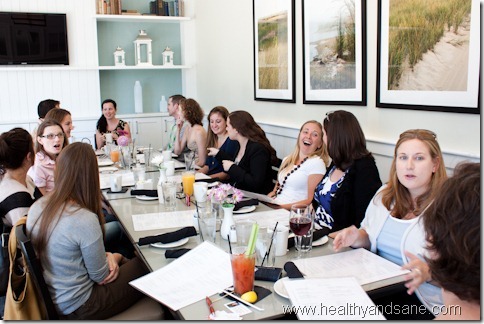 It was my first REAL bloggers’ event, and it was the birth place of the Boston Brunchers. Today, over 70 bloggers can boast that they have attended a Boston Brunchers event, 17 amazing restaurants have hosted us, and over 132 blog posts have been written. All focused on Brunch. All in and around Boston. 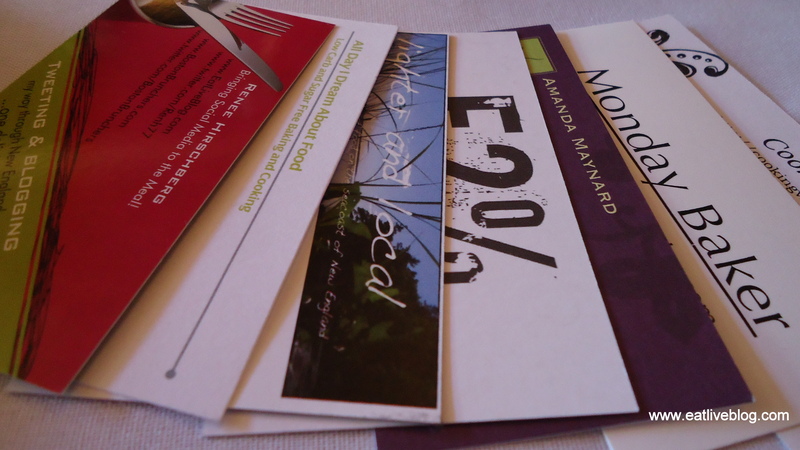 So what have I learned from Boston Brunchers in the past year? I have learned that pretty much EVERYBODY loves brunch! I have learned how to work with PR Companies as a client, a service provider and as a partner. I have learned what it means to be a community manager, and how to do it effectively. I have learned that if people are interested in what you are doing, they will come to you…We have over 1100 followers on Twitter! I have learned the power of the Digital Influencer! We are DEFINITELY a force to be reconned with! I have learned how to work with smaller businesses and fulfill their needs in ways that differ from businesses with larger budgets. I have learned that hardly ever will everyone show up….so always have a plan B! I have learned that there are some amazing digital influencers in Boston, and they are really delightful people! I have learned that there are some absolutely astonishing, palate pleasure inducing, un-repeatable brunches in the Boston area. I have learned something I always knew…event planning and marketing are truly my first “career” love! Social media has given me the opportunity to put those two together, and for that I am thankful! 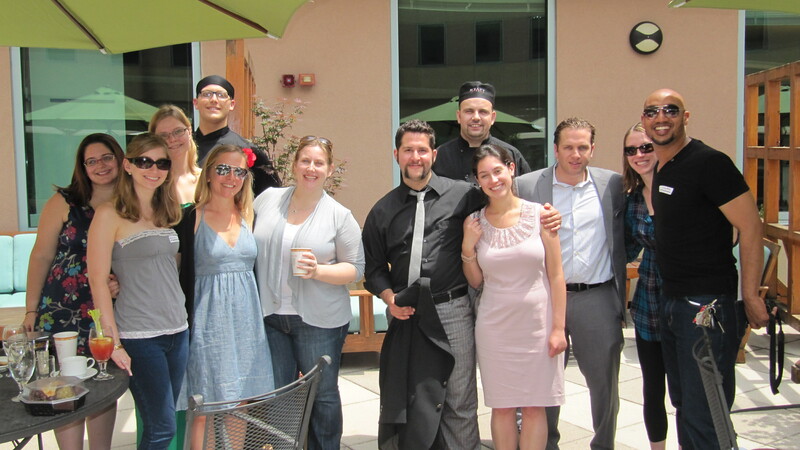 So, you can only fathom how much joy it has given me to produce the Boston Brunchers’ 1st Birthday Brunch. I have gotten to interact with all of the amazing restaurants and PR companies that have been so great to us over the last year, as well as work with some new brands and companies for the first time. There have been some speed bumps…having to limit tickets (who would have thought 40 wasn’t enough! ), losing our first venue, etc…But with the downs came the ups: An amazing new venue – Island Creek Oyster Bar, amazing sponsors (please visit their webpages and support them), and lots of fun interaction with the amazing blogging, tweeting and media communities in Boston. I cannot wait until October 16th when all the attendees can experience everything that has gone into this event! In the meantime, I have some important details to figure out before the event. Details like: what am I going to wear, when can I get my hair done, what am I going to order…..
Mandatoy Entry: Comment on this post what you love the most about brunch. 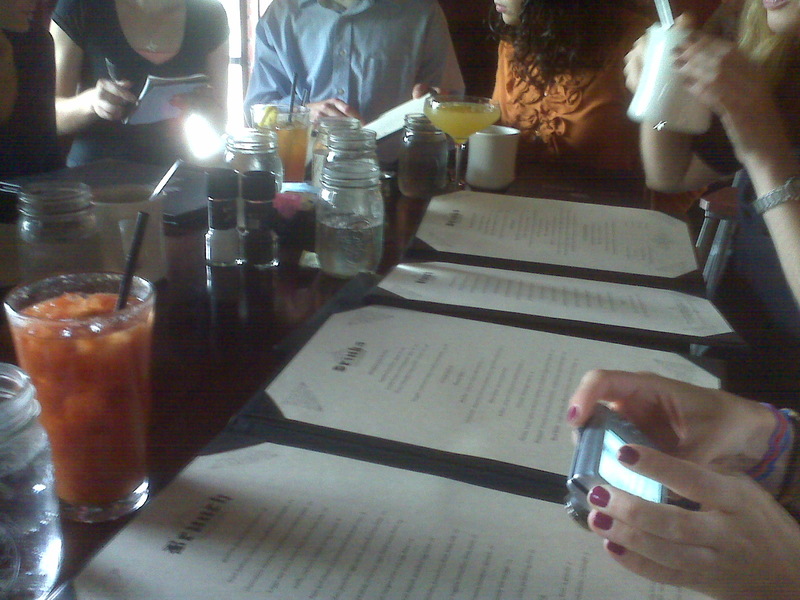 Bonus Entry: Follow @renh77 on Twitter and Tweet “Please @renh77, please send me to @BostonBrunchers #bdaybrunch @ICOBar http://wp.me/pVsto-xY“. Come back here and leave me a comment saying you did so. Bonus Entry: Like Eat.Live.Blog on Facebook. Write me a little note on my Facebook wall. Come back here and leave me a comment saying you did so. Winner will receive one ticket to attend the Boston Brunchers Bday Brunch where they will receive a complimentary brunch. Winner is responsible for tip and any beverages not included in the brunch which they may order. Winner will be chosen using Random.org on Monday, October 10th. All entries must be received by Sunday, October 9th at 11:59pm. Want to attend a Boston Brunchers event? Make sure to subscribe to www.bostonbrunchers.com so you can receive event announcements as soon as they are released. You can also like us on Facebook and/or Follow us on Twitter! Also, enter to win $20 to use on Eversave.com thanks to Birthday Brunch sponsor @EversaveBos! This entry was posted in Random and tagged blogger, blogger event, boston, Boston Brunchers, Brunch, digital influencer, island creek oyster by reneeh. Bookmark the permalink. Ack! Yay!These brunches look like a great time. My favorite part about brunch is enjoying a mid-day bloody mary with some kind of potato and chatting with my friends. It always seems like people are less stressed during brunch! Hi Renee, Great posting about your organization! The Oct. 16th event sounds awesome. I love brunch because it’s sometimes enough food to last most of the day! Its the best of breakfast and lunch! I love Boston Bruncher Events! What a great way to meet in person all the amazing bloggers I chat with on Twitter everyday! My favorite part about brunch is that I get to have eggs and french fries at the same time! Who doesn’t love that! (PS, I tweeted and “llked” Eat Live Blog on FB). Hope all is well! Lets get together soon with Erica!! aww renee, this post is amazing! don’t count me in the contest but I just wanted to say i really loved reading about all you’ve learned and accomplished. I remember when the idea came to fruition, and that very first sunday at Lord Hobo. (and I remember that awesome OPI manicure I had, those are my hands in the pic!) hahaha. Aw! Thanks Daisy! I almost teared up writing it! It has been such a fun year! I am so glad you will be there to celebrate with us! I love the brunch is the most relaxing of any meal! I also love that it’s in hte morning, when its nice and sunny out and you can have coffee AND alcohol if you want, and then have the rest of the day to do what you want…and usually I’m not hungry again until dinner! Great post! Love the story about BB. Thanks for your continued dedication! Please don’t enter me in the giveaway but I love reading about how the Boston Brunchers came to be. I remember that discussions at Villa Francesca! Thanks Michelle! I look forward to seeing you soon! 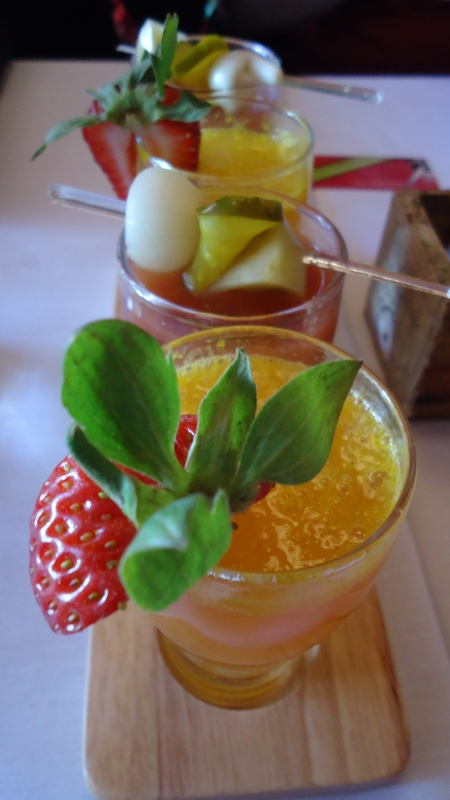 Fave thing about brunch – Bloody Marys and the combo of my two fave meals of the day – bfast and lunch! We love brunch because after sleeping in, brunch embodies Lazy Sunday. Who doesn’t love unlimited coffee, eggs and good conversation! Brunch is great because you get to spend a morning in leisure eating good food and being in good company. And the best part is that you can drink before noon without any excuses other than it’s brunch! I also tweeted and “liked” Eat.Live.Blog on FB! i love brunch because it’s so relaxing and delicious!! I love everything about brunch! best meal of the week. My favorite part of brunch is the atmosphere. It’s great to get together with friends and family in the calm of the morning. Oh, and all of the amazing bread/fruit/cream combos that make up delicious brunch dishes! I tweeted & am following you too! And…liked Eat.Live.Blog on Facebook and posted a note. 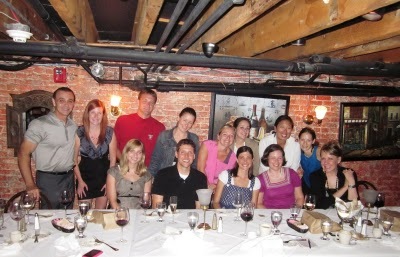 I would love to attend my first Boston Brunch on the anniversary of the group! Brunch is a special meal that you can’t get to every day of the week. It’s a way to honor and recognize the weekend, catch up with friends and family, and relax and savor a unique combination of dishes that can include any and all foods (and drink). No other meal of the week can lay claim to this! 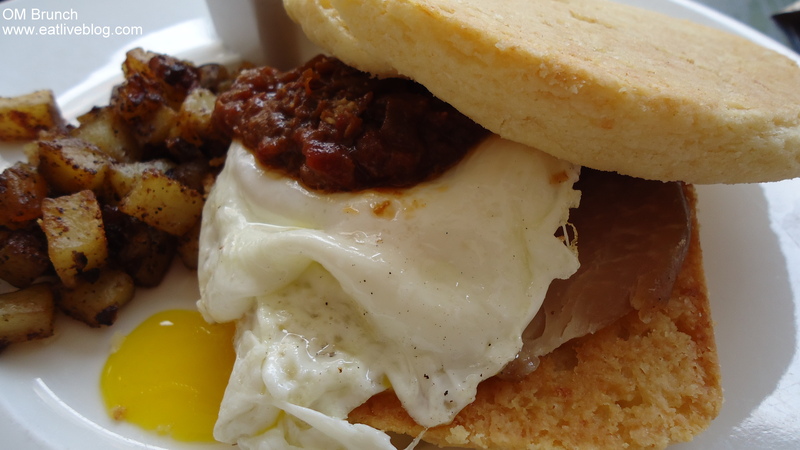 Brunch is the best meal of the day because it can straddle the sweet/savory line. But what is most important, is that it falls at the perfect time of day to get together with friends. It’s the best way to end the weekend on a high note before the work week begins. And finally, I “liked” Eat.Live.Blog. My favorite thing about brunch is that almost any food creation can be justified at a brunch! Tweeted and liked Eat.Live.Blog on Facebook as well. Pingback: Godiva Pumpkin Spice Coffee Eiskaffe – A Memory in the Making « Eat.Live.Blog.